Metaltella simoni? Not 100% sure. 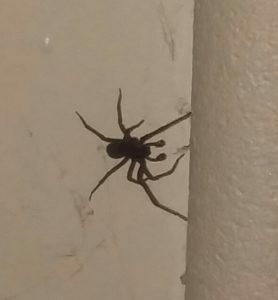 Found in Bathroom above toilet on wall. 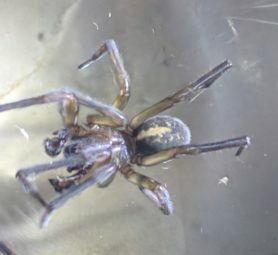 Please help identify. 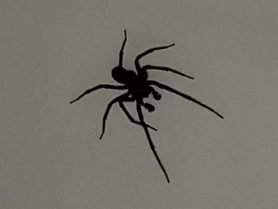 Can I have help identifying this spider? Seems to be a mature male due to boxing gloves in the front. 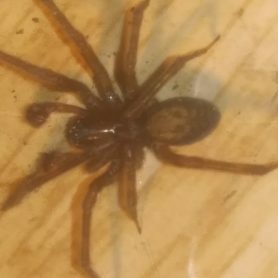 I am thinking Metaltella simoni house spider. But PA is kinda north for this species correct? Has made webbing in the container I am keeping it in. Is eating flightless fuitflies. 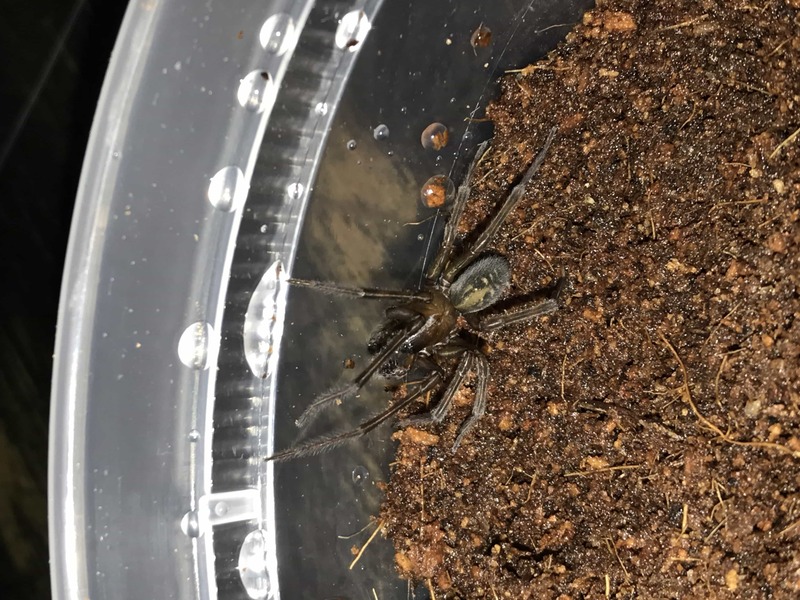 Hi, this is a Black Lace-weaver, Amaurobius ferox.